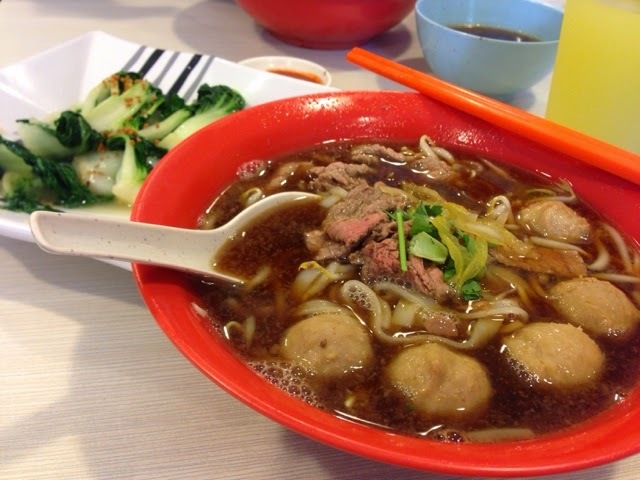 If you are searching for delicious beef noodles near Singapore's central business district, why not try this store - Authentic Hock Lam St Popular Beef Kway Teow at North Canal Road. It is especially challenging when you are lunching at alone in the central business district. Everyone is going for lunch at the same time. Apparently, this beef outlet was very systematic. You have to order food first and then you will be allocated a seat. You will not worry if you cannot find a table. There is always an available table. I ordered myself a regular bowl of sliced beef noodles and beef ball soup with flat rice noodles (Kway Teow - 粿条) at SGD6.50. 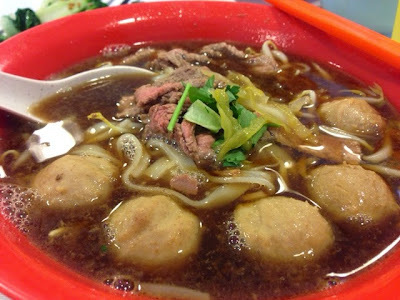 When the noodles was served, I could smell the aromatic and fragrant beef broth. When I drank the soup, it was awesome!! The rich broth was tasteful. The sliced beef was freshly cooked and they were very tender. The beef balls were chewy. More importantly, the noodles were very chewy. The flat noodles, unlike the other places I have eaten, was more chewy. It tasted so well with the beef soup. Extremely addictive. 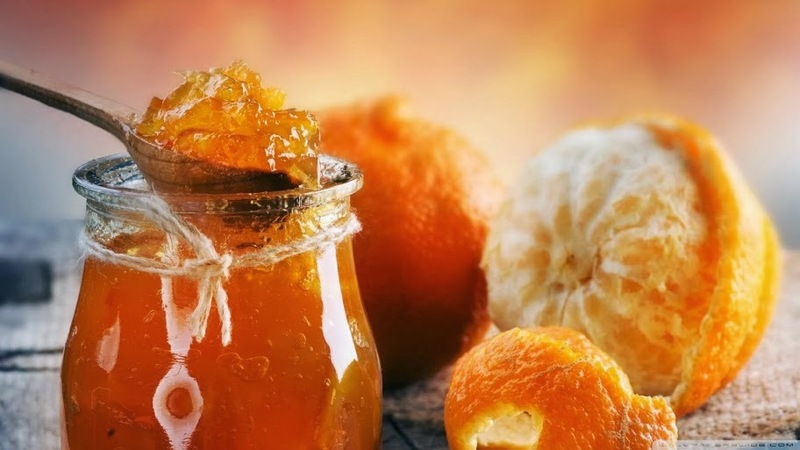 It is something you must definitely try. I also ordered myself a plate of vegetables with fried garlic. at SGD9.00 I was surprised that the garlic was very fragrant and the vegetables were crunchy. Together, they were absolutely mouthwatering. Lunch was a delight.